Dr. Wantanee Kalpravidh currently serves as the Regional Manager at the Emergency Center for Transboundary Animal Disease for Asia and the Pacific for the Food and Agriculture Organization (FAO) of the United Nations in Bangkok, Thailand. Under her leadership with the FAO, she has expanded key disease control efforts, program evaluation, and livestock development projects. A distinguished graduate of the College of Veterinary Medicine at the University of Minnesota, she earned her Ph.D. in Veterinary Medicine in 1993. Upon completion of her studies in Minnesota, she returned to Thailand and began her career with the Division of Disease Control at the Thailand Department of Livestock Development. Her work in coordinating disease control efforts crossed national borders as she established a collaborative program with neighboring countries to support regional animal disease control, as well as working to prevent possible economic and public health implications in the region of Southeast Asia. Dr. Kalpravidh has tirelessly worked to strengthen regional capacity around veterinary education at the undergraduate and graduate level. 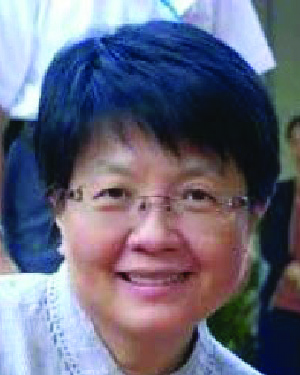 She is recognized as a pioneer in establishing the Regional Field Epidemiology Training Program for Veterinarians, which aims to create a cohort of veterinary epidemiologists in rural and urban regions to support animal health programs in Asia. This attention to capacity building has been vital, particularly in resource poor settings where emerging diseases can be immediate and catastrophic on animals and people. Following the success of this program, China has modeled a similar program on Dr. Kalpravidh’s training program. Dr. Kalpravidh’s international colleagues praise her ability to forge successful, diverse, and productive partnerships with regional and international organizations, research institutions, and the private sector in addressing the needs to deal with emerging zoonotic diseases. In naming Dr. Kalpravidh as a recipient of the Distinguished Leadership Award for Internationals, the selection committee cited her impact on the field of veterinary medicine education and on the lives of hundreds and thousands of poor farmers in Asia. Her various initiatives have enhanced disease control in many parts of Asia and contributed to improved livestock productivity.